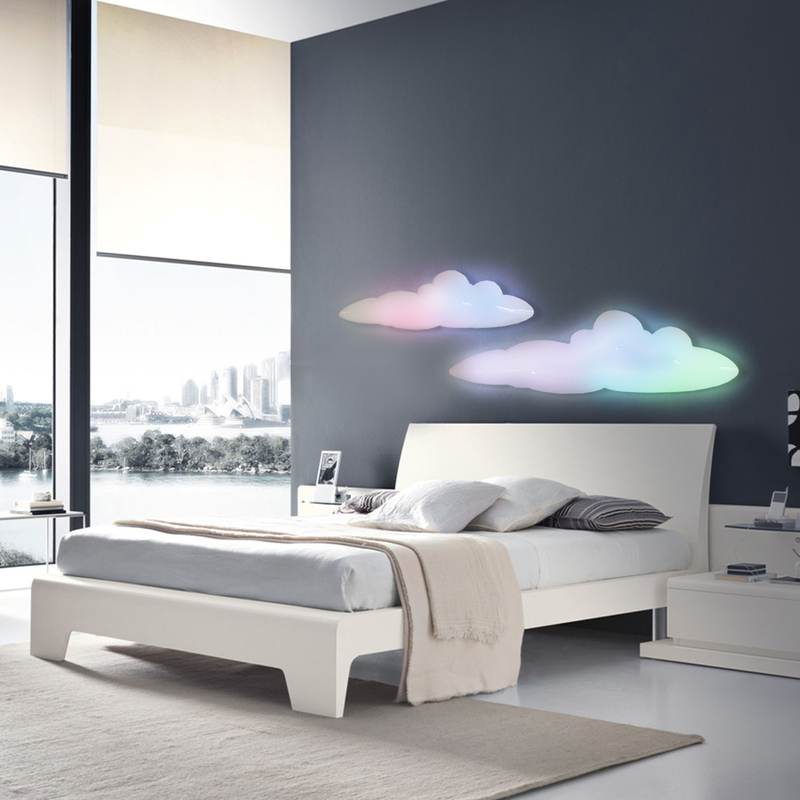 Musical Cloud – Your music never looked so good! Your music never looked so good! Hailed as a Mid-Century masterpiece when originally released, Remo's clouds are in the collections of major museums and featured in the Whitney Museums collection "High Styles: 100 years of American Design" alongside other masters like Tiffany, Frank Lloyd Wright and Frank Gehry. 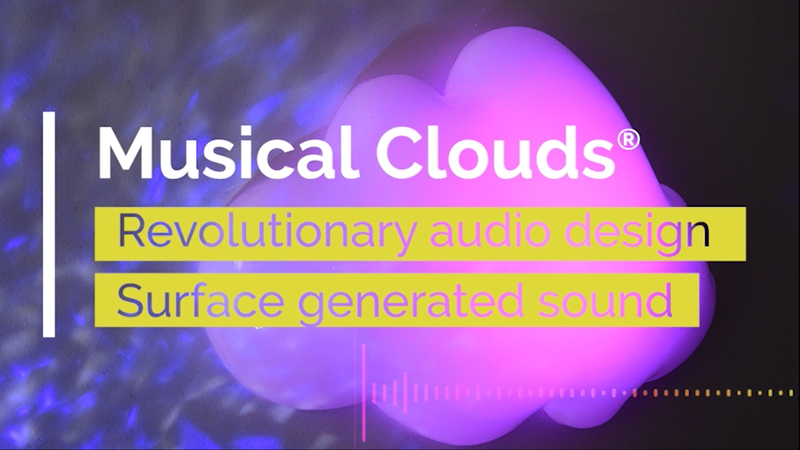 Updated for the 21st century The Musical Cloud® by Remo Saraceni is a revolution in design, merging light, sound and sculpture in a single form. By utilizing modern electronics and a forgoing traditional speaker-cone technology, the Musical Cloud® is a Bluetooth speaker like no other - Sound is generated directly from the surface of the sculptural lamp. The resulting audio quality will astound the most discerning audiophile. Built with smart homes devices in mind this dynamic LED lighting and sound system is controlled from your smartphone! Select any color from full the RGBW spectrum, with 4 color changing modes including a music driven light-show. Other smart features include a sleep timer and alarm to wake you with light and sound. Enter your email address to keep updated with the latest Musical Cloud offerings and news!